Spectacular home is located in desirable Avalon Park. This 3 bedroom 2.5 bath features a desirable corner location, offering privacy and a ton of natural light. New roof, interior paint, new carpet and the lowest HOA in Avalon Park that includes lawn maintenance, pest control on the exterior, exterior paint, roof, and basic cable. Walking into the house you will see open floor plan featuring kitchen/great room combo and high-end laminate flooring. 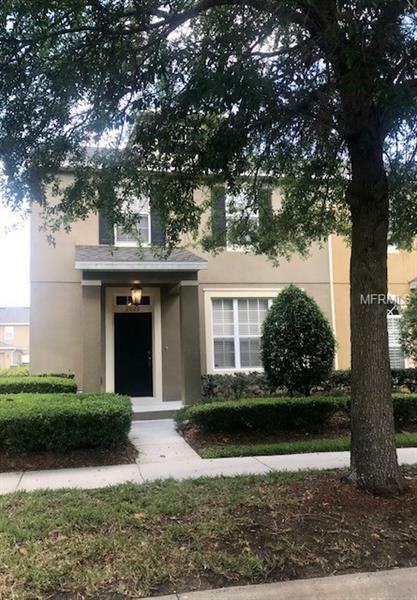 The wonderful decor, high-end laminate flooring , and high ceilings makes this home inviting The upgraded kitchen features granite counter tops , high end cabinetry , tile flooring , eating space and sliding glass doors that leads you out to your brick porch area. The beautifully brick paved and fenced in patio area makes this a perfect setting for family gatherings. Walking upstairs you will enjoy your master suite with a large walk in California closets. All bedrooms feature the California closet systems. The master bathroom features a large walk in shower and stunning granite counter tops. The upstairs features the two additional bedrooms and a shared bathroom with granite counter-tops and shower/tub combination. Avalon Park is the ideal family community and features a pool and splash park, playground, tennis and racquetball courts. You love the lowest HOA in the community of Avalon. The home is close to all that the community has to offer including great schools, grocery stores, dining, and is a short drive to downtown and beaches.